Expecting the baby soon? Make sure you have all your tasks covered. Check out 11 things on your pregnancy to do list that need to get done in the third trimester. 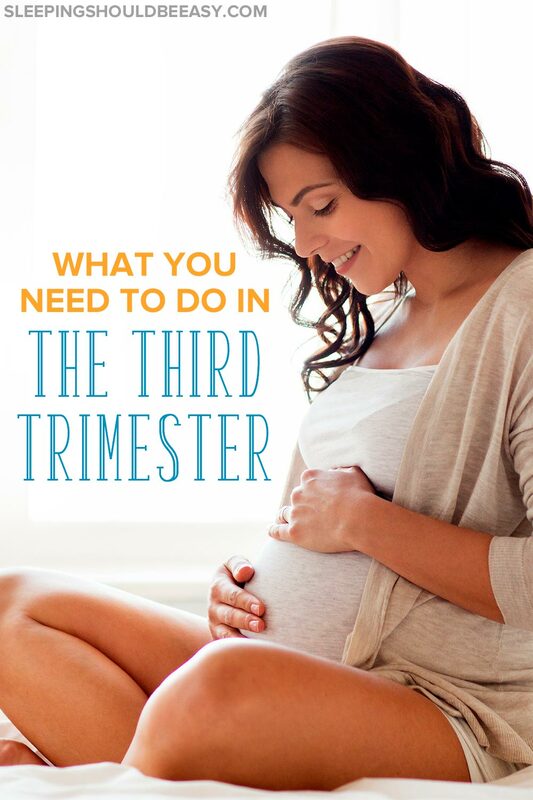 Ask any mom which trimester is the most difficult, and many of us will point to the third and final one. Because as worrisome or nauseating the first trimester can be, the third has its own set of challenges. We’re bigger and less able to do the things we took for granted (who knew walking fast and sleeping on our backs were awesome?). We’re coming to terms with the reality of being a mom, and the fears of giving birth are becoming more real. And it could be the overwhelming amount of tasks we still need to do plus the doubt of how we’ll ever do them. The only thing holding us together is getting closer to meeting the baby. If you feel stressed, you’re not alone. Here’s what to do in the third trimester for a normal delivery. Cover these steps, and you should be good to go. I also excluded tasks that, while important, you likely already did in the other two trimesters. I want to focus instead on the tasks that you really can’t, shouldn’t, or don’t have to do until you’re much closer to your due date. Early in your pregnancy, you may not have had too much information to make definitive plans about work post-delivery. Now that you’re nearing the end of it, begin finalizing your maternity leave. Discuss when you plan to leave, as well as how much paid leave you can expect. Get details on how you’ll receive these payments (by check or directly into your bank account?) and whether you need to use vacation or sick time first. You’ll also want to know next steps on how to add your baby to your insurance policy, and what paperwork you need to submit (and to whom). Get an overview of your maternity leave early in your pregnancy, then get the details toward the end to help you feel better prepared. Part of feeling good about going back to work is knowing your baby is in good hands. The more confident you feel about your childcare provider, the better you’ll make the transition back to work. Do you know what to do when labor strikes? Now is the time to make a labor day game plan so you know what to do when the triggers happen. Ask your doctor how many minutes apart your contractions should be before heading to the hospital. Decide what you and your partner will do if you’re not together when contractions happen or your water breaks. These are the little details that may have seem too distant to think about but are now becoming more of a reality. 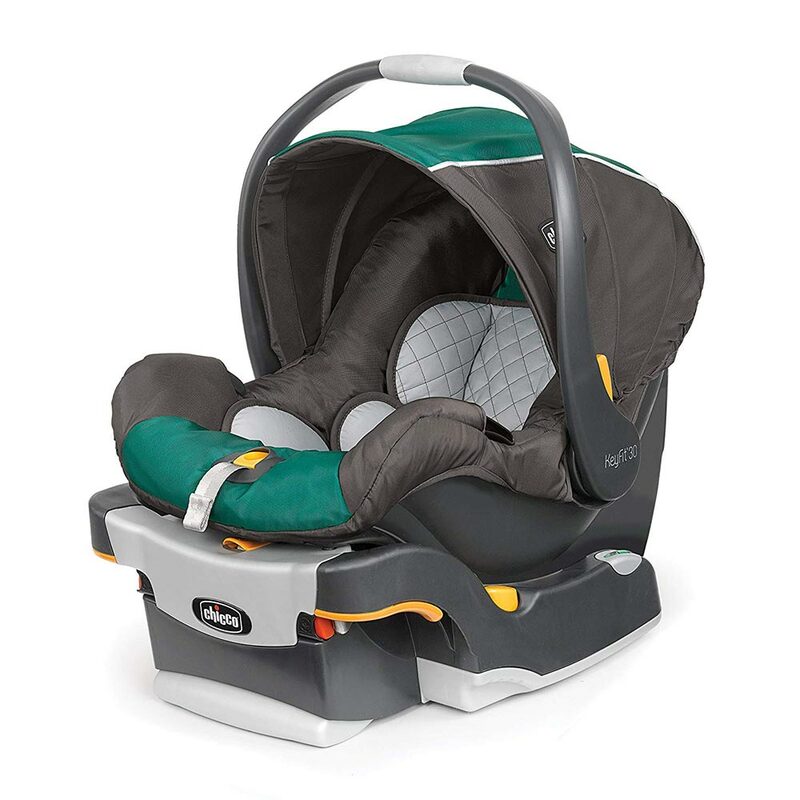 By far the most important gear, the car seat will need to be installed in your car before the baby comes. While you can get away without a crib or changing table, the hospital won’t let you bring the baby home unless you have a car seat installed. Ask your local highway patrol to double check your car seat, or find a specialist who will guide you how to install it on your particular car model. If you have a travel system with a stroller, practice locking and unlocking the seat from base to the stroller. I asked several SSBE readers ideas on things to do to prepare for baby, and nearly everyone chimed in that preparing freezer meals is a must. Because meals are pesky that way—even with no time to do anything, you still need to eat. Freezer meals are the convenient way to prepare food now while you still have time for the weeks and months when you don’t. And making freezer meals isn’t just for the months before the baby comes but long after. They’ve come in handy after a long day with nothing left to cook or eat! Your baby may be sensitive to brand new or even hand-me-down clothes. Toss them in the wash using a baby-safe detergent like Dreft before the baby comes. This includes the baby clothes you’ll take with you in your hospital bag. Don’t forget to wash other items like bedding, blankets and stuffed animals. These can irritate your baby’s skin if not pre-washed. 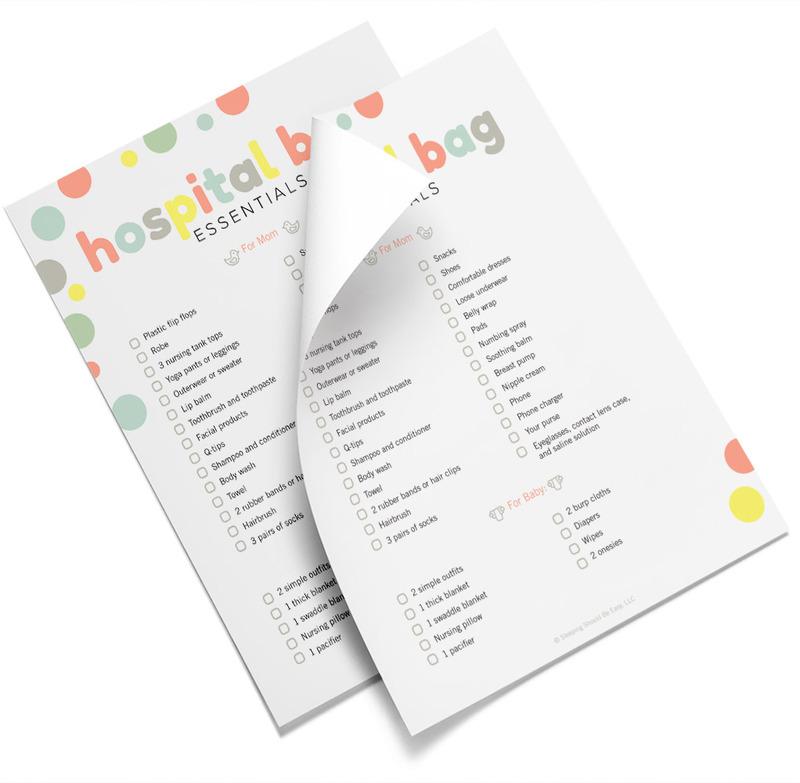 Now that you’re closer to heading to the hospital, make sure your bag is ready to go. Include things your baby and partner might need as well! Keep a short list of items that can’t go in the bag until the day itself (for instance, your eyeglasses) so you know everything else is in there. Running out of household items is the worst hassle during those newborn days. Take an inventory of your kitchen, toiletries and other essentials and stock up now. You may not have the time or inclination to shop once the baby arrives. Get a detailed list of the household items you should have. The newborn weeks and months are some of the most challenging for any parent. If you have family and friends who can visit, begin reaching out to recruit help during this time. Find out when your parents can stay for an extended time, and ask friends and family to come on certain weekends. Decide who will take care of your older children (and make plans for what to do if they’re not with you—at school, for instance). Who will care for your pets, and what instructions do they have for feeding, walking and grooming? With the baby arriving soon, assembling the nursery makes for a perfect third trimester project. Have someone piece large furniture together such as the crib, changing table and bassinet. Fold and store the baby’s clothes and blankets into drawers or linen cabinets. Then, if you’re using bottles, wash and sterilize all the parts. Do the same with pump parts if you’ll be pumping, and fill the changing station with diapers and wipes so they’re ready to go. By now, your older kids likely know something exciting is about to happen. But for those who haven’t welcomed a new sibling before, the change can feel overwhelming. They’ll hear the baby cry a lot, but that’s how babies communicate and tell us what they need. You’ll be busy with the baby, and that sometimes they’ll have to wait a little longer than usual. They’ll likely see friends and family who want to help you during this time. Encourage them to play independently so they’ll have resources to turn to when you’re not available. And start being as consistent as possible with their routine so they have the predictability to rely on when the baby comes. The new baby will be a huge change for your kids, but one they can welcome with open arms as well. By the time the third trimester came, especially that last month, I was more than ready to not be pregnant anymore. The massive discomfort of carrying the baby erased any fears and anxieties I had about giving birth. Plus, I felt better prepared to say goodbye to pregnancy and meet my little one. I was confident I had my maternity leave details covered, discussed with my husband our labor day game plan, and installed the car seat bases, ready to go. It’s things like these that are best left to the third trimester, those weeks and months so close to meeting the baby. As difficult as the third trimester was, I felt ready crossing off the items on my pregnancy to do list. All but one—the best one—meeting my baby, of course. Tell me in the comments: What is on your pregnancy to do list before baby arrives?